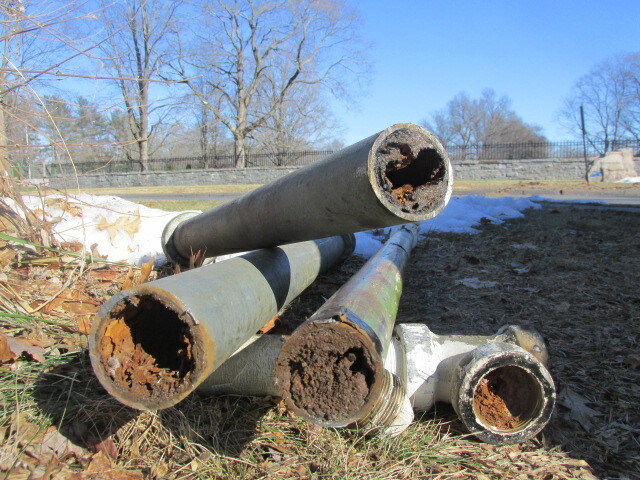 Some older cast iron drainage stacks used galvanized pipe for vent and drain piping branches. Later on plumbers used copper for the drain branches and the galvanized for just venting. The galvanized drain piping became problematic over time because rust builds up inside, debris gets caught on it and the pipe becomes clogged. During construction projects it is always advisable to replace the galvanized pipe with PVC, ABS, or cast iron.